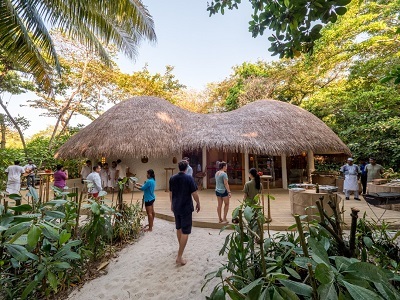 Last summer's revelation that Philip Blackwell's Ultimate Library was looking for a 'barefoot bookseller' to run its operation at a luxury resort in the Maldives led to a tidal wave of applications, with some 5,000 people applying for the three-month stint. An initial report on BookBrunch was picked up by the Observer last August, and then by news outlets round the world. 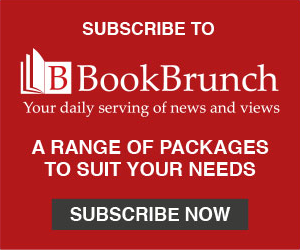 "All human life was there," said Blackwell, ceo and founder of Ultimate Library, speaking to BookBrunch at LBF, "ranging from booksellers to accountants, bankers, people from corporate finance, and in age from 17 to 70." A shortlist of 15 was drawn up for interview, and the successful candidate was Hugo Wilson, who has a masters degree in the philosophy of literature and teaches creative writing for Oxford Tutors. Wilson's three months came to an end in February, and he has been replaced by Aimée Johnston (left), "plucked from the press office of Penguin Random House in Dublin", Blackwell reports, and out in the Maldives until the end of May. The Maldives operation was a trial; Blackwell is now looking at wider operations within the Indian Ocean area, including the Seychelles, Mauritius and Bali. A key lesson from the trial is in the type of books people buy on holiday, which are slightly different from the books people will traditionally buy in a rush from an airport bookshop. The Maldives operation has shifted a significant amount of serious non-fiction, in addition to children's and escapist beach reads. 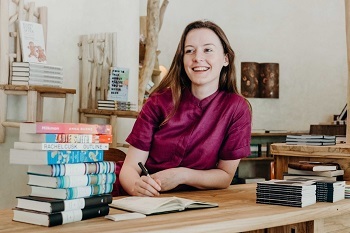 Blackwell's Ultimate Library is in expansionary mode, with sales up 50% year-on-year and turnover in "low digits seven figures" (ie £1m- £5m), and employing 16 people. The business is concluding deals direct with publishers for bespoke editions, including a 2,500-copy rejacketing for a London client, and a short-run, co-branded hardback.